The WV-CU950 Ethernet system controller integrates with a range of Panasonic i-Pro system equipment such as network video recorders through control software to control camera functions, monitor displays and review recorded footage. 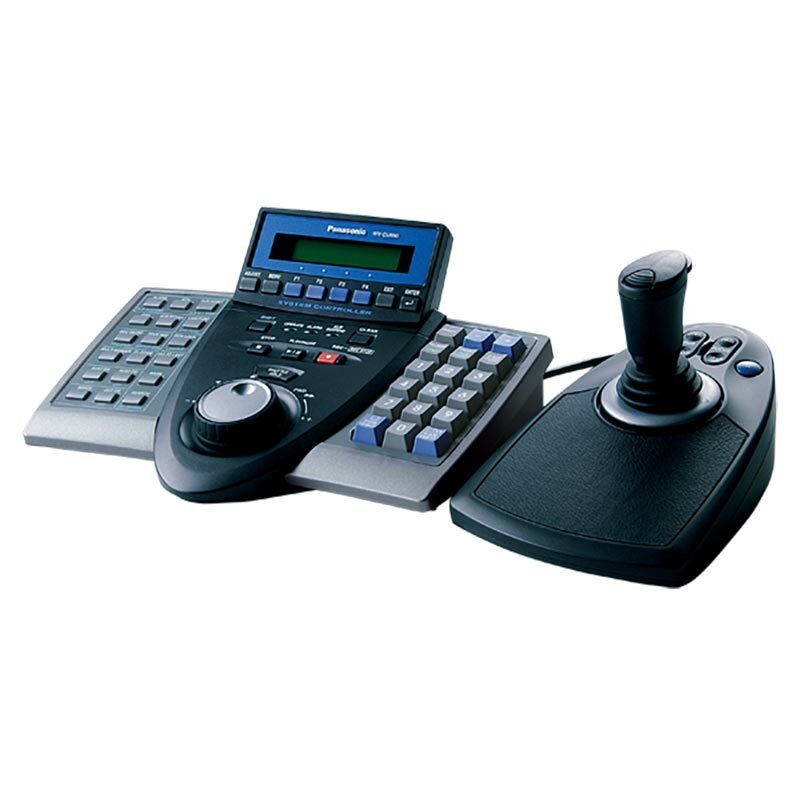 The controller features a unique three-dimensional joystick that gives pan and tilt control of cameras by moving the joystick whilst zoom is controlled by simply rotating a dial on the top of the joystick. The joystick is detached from the main controller to allow easy access to the controller functions by both left and right handed users, the height of the joystick is adjustable to cater for different hand sizes. Iris and focus control is performed from the joystick with all other functions being taken from the main system controller.